Golf has been a way of life in Charleston longer than in any other American city. Back in 1786, a year before the Founding Fathers laid out America's political and legal systems in the Constitution, Charlestonians laid out the country's first golf course, Harleston Green. Though the links-between modern-day Broad and Chalmers streets downtown-were fairly informal, the founders organized the nation's first golfing organization, the South Carolina Golf Club, to pay for their care. Golf historians now consider the club members' monthly payments for the upkeep of Harleston Green to be the source of the term, "green fees." Though Harleston Green has long since been built over, the South Carolina Golf Club was re-chartered in the 1960's and continues on today in Hilton Head. And club or no club, residents of the Holy City haven't stopped golfing since. The sport is as integral a part of the Lowcountry lifestyle as joggle boards, deep-fried shrimp, and She-Crab soup. For Charlestonians, inviting a new acquaintance to "play a round" comes as naturally as shaking hands or exchanging business cards. For many women, a friendly trip around the links has replaced the knitting circle or bridge club. 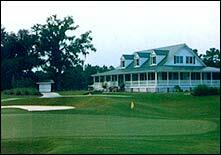 The Legend Oaks golf community in Summerville is an apt reflection of Charleston's golfing heritage. Smothered in eye-catching beauty, working cypress pools, towering oaks, and other natural hazards, the Legend Oaks Golf Club have somehow transformed this transcendental terrain into a traditional layout which Golf Magazine compares favorably to Pinehurst #2 and praises as "a near perfect test for the average bogey shooter." In 1998, Brian McClellant further described the scenery: "An avenue of 250-year old oaks heralds the entrance, a la August National, through the golf course, designed by Pete Dye Associate Scott W. Pool, is more akin to Pinehurst no. 2 in its straightfoward presentation of challenge." Legend Oaks' General Manager and Head PGA Professional Steve Smart flatly states that "Legend Oaks Golf Club is one of the best-designed courses I have ever played in my golfing career. No two holes look the same, and each hole has been designed to bring forth the Lowcountry's charm and beauty as it flows through the old rice plantation filled with large live oaks and cypress swamps. The fair but challenging layout gives golfers of all levels a wonderful test of the game while the beauty of the course relaxes their mind." Indeed, Smart isn't alone in praising the course; Palmetto golfers voted the Legend Oaks Golf Club the third-best course in the Lowcountry. Smart sees this as "an outstanding honor, considering the renowned golf resort facilities located in the Charleston area such as Kiawah Island, Wild Dunes and Seabrook Island." Set on the site of an antbellum rice plantation, Legend Oaks leads golfers along elegant rolling fairways lined by massive oaks and towering Loblolly pines, where they confront water hazards on fifteen different holes. Perhaps most challenging of all is #10, Legend Oaks' signature hole. The demanding 372-yard, par 4 requires a shot over wetlands onto an elevated green. Each year, Legend Oaks' ancient, mossdraped oaks keep watch over the region's most time-honored contest, the Charleston Open. Established in1993, the quintessential Lowcountry tournament draws PGA professionals from around the Southeast. But like Charleston's earliest golfers, Legend Oaks knows that golf is less a competition than it is a lifestyle. With this in mind, the course offers its players a traditional, Lowcountry plantation-style clubhouse true to the finest traditions of Carolina hospitality. Here, golfers can relax after a round in a rocker on the wraparound porch, sipping a drink and enjoying the view. Inside, they can eat at the snack bar, browse at the fully-equipped pro-shop, and if they're Legend Oaks members, enjoy the upstairs lounge. Homes by Saussey-Burbank, John Wieland, and other premier builders ring the course and offer a perfect retirement choice for anyone with an appreciation for both golf and Lowcountry beauty. Legend Oaks offers residents a variety of membership options, from a full membership in golf, swimming tennis and clubhouse, to a swimming and tennis membership only. Initiation fees range from $295 to $2500.